It’s safe to say that the Nissan X-Trail demands, nay, thrives on adventure. It can drag two tonnes if need be, is composed off-road, and its inert handling ensures that composure remains even when scrambling up a quarry. But for the unadventurous among us out there, working 9-5 (what a way to make a living) and carving trails across mean motorways and hazardous highways, how does it fare? Well, it sure looks the part. You may be looking at these pictures and wondering what’s changed from the outgoing model and the answer is not a lot. While the seven-seater SUV has consistently been a popular lease since its relaunch in 2014, many drivers have been spoilt for choice in this segment over the past couple of years. With that in mind, and with the benefit of hindsight, this new X-Trail very much feels like a statement to which the likes of the Skoda Kodiaq, Tiguan Allspace and Peugeot 5008 have retorted in due course. This 2.0-litre manual 4WD X-Trail in Tekna trim does more than enough to keep these new pretenders in line, with 175bhp and peak torque of 380Nm at your disposal – the highest ever offered in an X-Trail. What these figures don’t get across is how flexible the engine is, offering you a much more progressive driving experience. Even with low revs, the amount of torque held in reserve makes it a relatively quick drive, offering figures of 0-62 in 9.4secs – yes these aren’t going to add the X-Trail to the dubious pantheon of ‘hot girl reacts’ videos on YouTube but they do make the SUV that little less sluggish and a little bit more driveable than some competitors. How does all that equate MPG-wise? Officially the X-Trail will manage 48.7, but out here in the real world of bumper-to-bumper congestion, smart motorways, and the occasional decent run we were managing 38mpg and a sickening average miles-per-hour figure of 27. On the inside, the car brings to mind a larger Micra. 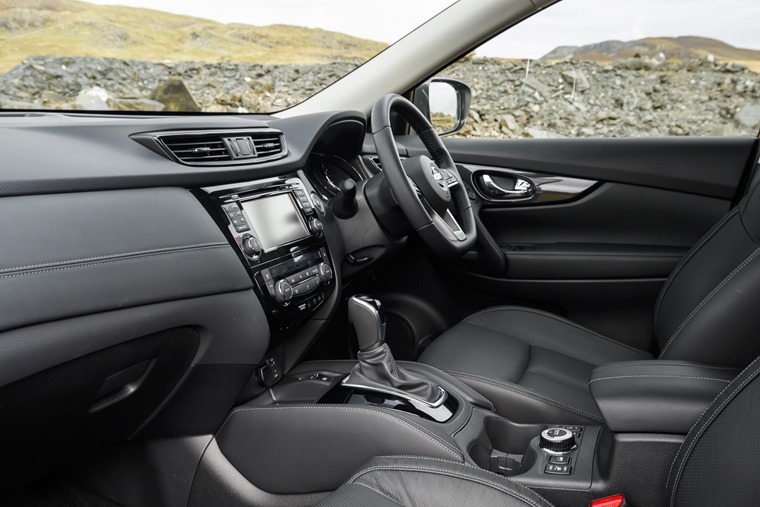 While equipment levels are up to spec, offering you everything from seven-inch touchscreen infotainment, heated seats, heated steering wheel, 360 cameras and the like, all things well received in the updated Micra, the transplanting of that cabin into this (or vice versa) makes the X-Trail seem a bit downmarket compared to the aforementioned seven-seater rivals. That said, there is plenty of room and it is a car both driver and passenger can get comfy in. The optional six-and-seven seats are a little bit tight to say the least but will be manageable for any kids on short-to-mid length journeys – just don’t attempt to go from Land End to John O’Groats unless they forgot to clear their Lego away. While the boot offers plenty of space in five-seat form, it becomes almost non-existent when the seven seats are utilised. 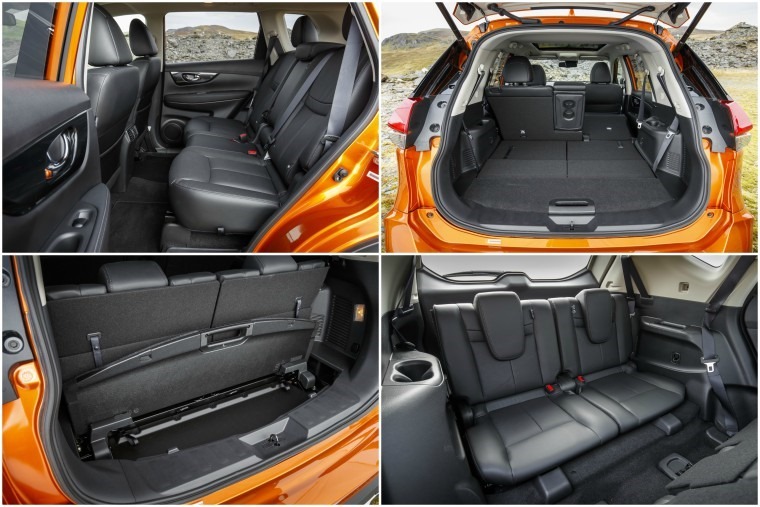 Fold all the seats down and you get just short of 2,000 litres of storage at your disposal. 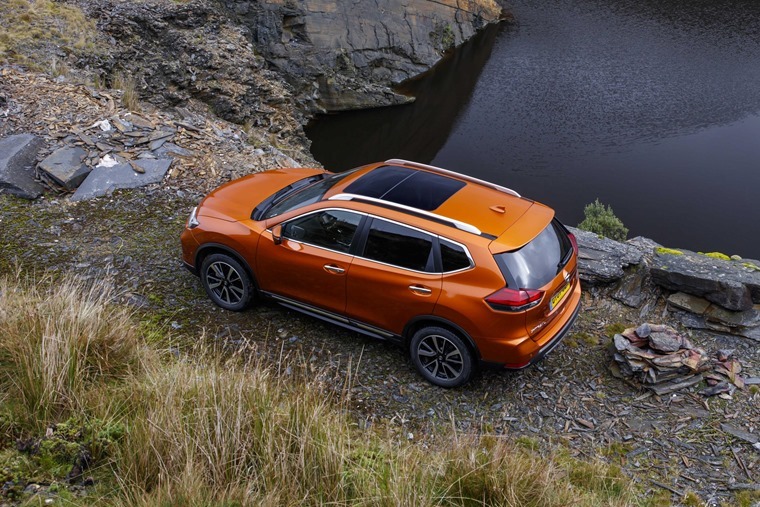 There’s a lot to like about the Nissan X-Trail – it can confidently do anything you ask of it and if you’re ever likely to tow a trailer or caravan or venture off-road then it’s worth its value and then some. 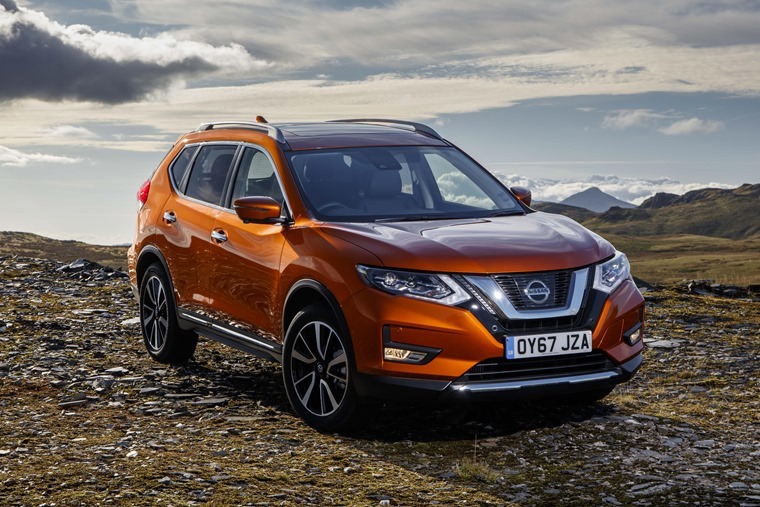 If you’re the unadventurous type, and foresee your use of this vehicle extending to little more than commuting and the occasional trip out, then stick with a Qashqai – you’ll barely be able to tell the difference. Dave Smithers likes big boots and he cannot lie. So he would quite simply like to know: How big is the boot? Smithers! You’re looking at 565 litres with the middle seats up, 1,996 litres with middle row down, and if you’ve got all seven seats in use you’re looking at about *mumbles under breath* 135-litres of space. Jason Patel wants to know if it can comfortably seat seven? You could fit four adults and three children in relative comfort for a journey of an hour or two but after that we think you’d be facing a mutiny. The official combined MPG from Nissan for our X-Trail dCi 177 Tekna 4WD 7 seater model is 48.7mpg, but our figures after spending a week in the car were closer to 38 which isn’t too bad for an SUV of this size. Alas, the reversing camera did get dirty relatively easily thanks to road spray and the like, so I found myself relying on the mirrors more than anything else like an absolute troglodyte. Rob Halliwell wants to know if the infotainment system been improved? It will no doubt be similar to the one you used when you had a test drive in a Nissan Qashqai. It’s adequate, does what you need it to, but as stated above does seem a bit downmarket compared to what is offered by the likes of the Skoda Kodiaq and Volkswagen Tiguan Allspace seven-seaters. Nissan offer a three-year warranty which would be covered under your lease agreement up to that date. 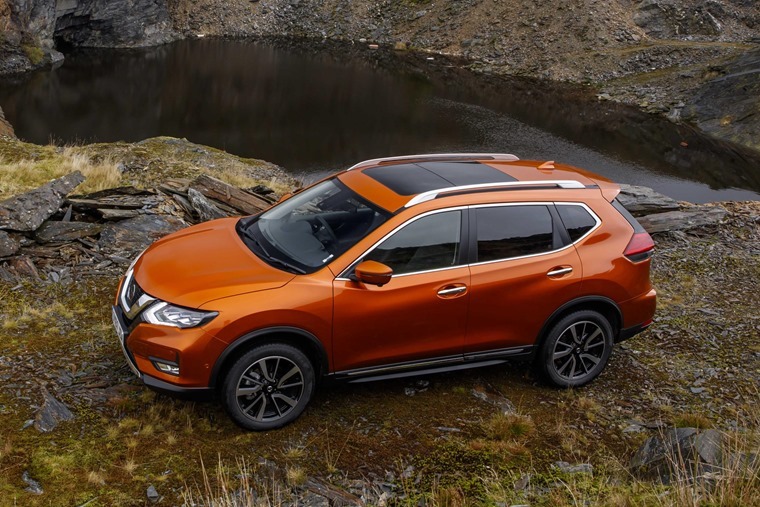 If you wanted to lease a Nissan X-Trail for longer than three years you can opt for a lease that includes maintenance as part of the contract. For more info, check out our handy maintenance guide.